We are proud to announce, Carolina Tree Care is now serving Greensboro, NC for residential and commercial tree care needs! Services offered in Forsyth and surrounding counties include, arbor consulting, trimming, tree removal, stump grinding, plant health care, disease/pest control, root fertilization, banding, emergency response, hazard trees, insurance claims, and 24-hour on call response. Current operations serving the greater Charlotte, NC area will continue to enlarge as operations expand throughout the state.Through this growth plan, we are looking forward to the greater amount of care we will be able to provide to residential and commercial properties. . It is our passion to provide excellent service throughout the Piedmont and Triad areas. 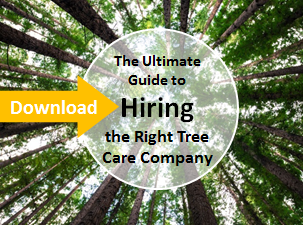 When deciding on a tree company, in any city, it is imperative to consult with a certified arborist representing a fully insured and reputable tree care company. The City of Greensboro recommends if you have questions regarding trees on your property, that you hire an arborist to evaluate your trees. To learn more about what Carolina Tree Care can do for you, give us a call at 704-788-8733. We look forward to connecting with you! Your Trees. Your Property. Our Passion.